Inspire them to perform to their fullest potential with a meaningful recognition program. Award is built atop a rectangular base for easy shelf, desk or mantle display. 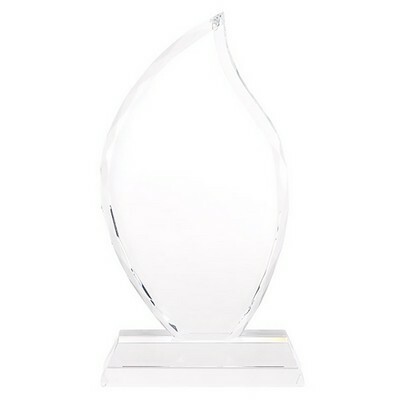 This Fiamma II Large Crystal Flame Award are designed with an angled teardrop shape with bevelled edges. 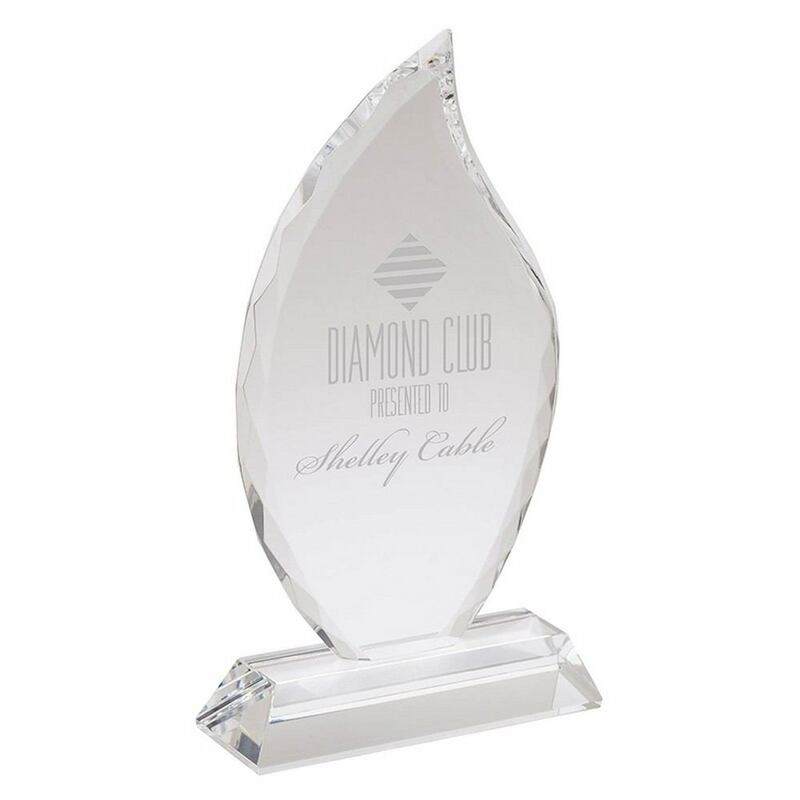 Awards stand on a clear, rectangular base for display on a mantel or bookshelf. The large, broad see-through face is perfect for your personalization. Insert your company details to create impressive Custom Logo Products.